Remember when I said before my holiday that I was having a bit of a pom pom obsession? Well this basket is the result. I really wanted one of those embellished bags that you see everywhere in the Balearics, but they cost upwards of £30 and I didn’t have the cash to spare. Also, pom poms are everywhere on the high street, but even a simple kaftan was coming in with a hefty pricetag. Didn’t stop me wanting one though! Not one to miss out on a trend, and of course inspired by Sewing Bee, I took matters into my own hands and bought these strips of pom pom edging in a haberdashery shop in the UK and stashed them in my luggage along with a needle and thread. On the first day of our holiday I hopped across to Eroski supermarket and bought a straw basket for under 10 euros. I spent the first afternoon of the holiday by the pool, glass of Rosado in hand, sewing pom poms onto my bag. I expect people thought I was mad. 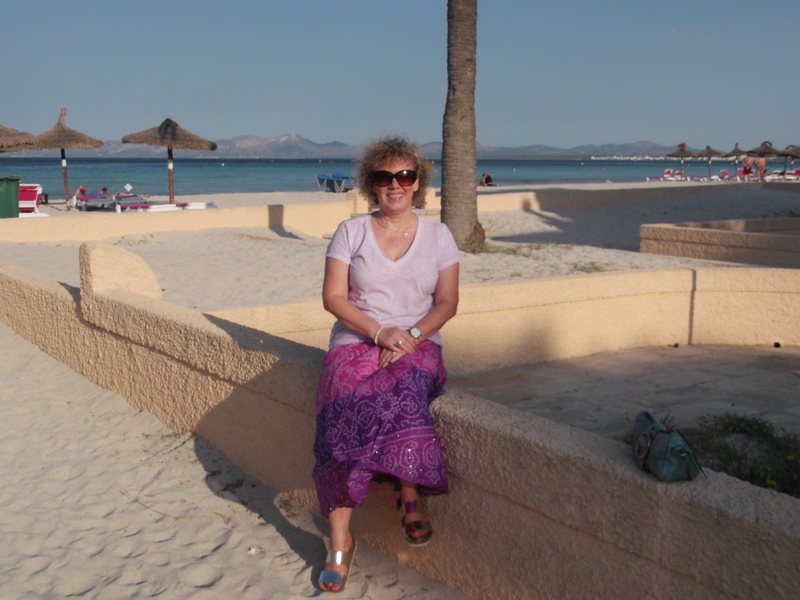 Anyway, a couple of days in, we found ourselves in an artisan shop in Alcudia old town. It was full of handmade wooden dangly things with sea glass beads attached. Not sure what you were meant to do with them, but I bought one and it was just the ticket for embellishing my bag. Total cost about £15 and seems sturdy enough to last me all summer (or until I get bored with pom poms and am lusting after something equally as daft!). 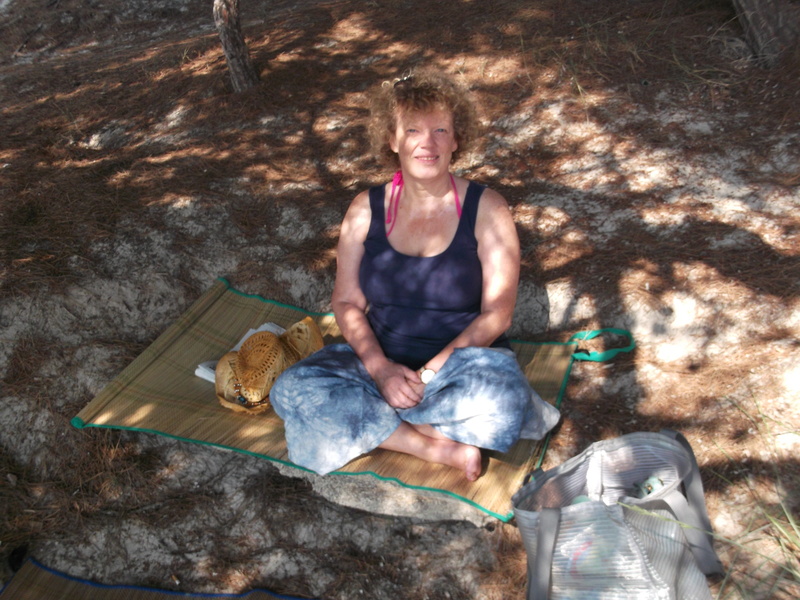 PS I bought the butterfly wrap at the side of the road in Costa Rica a few years back. 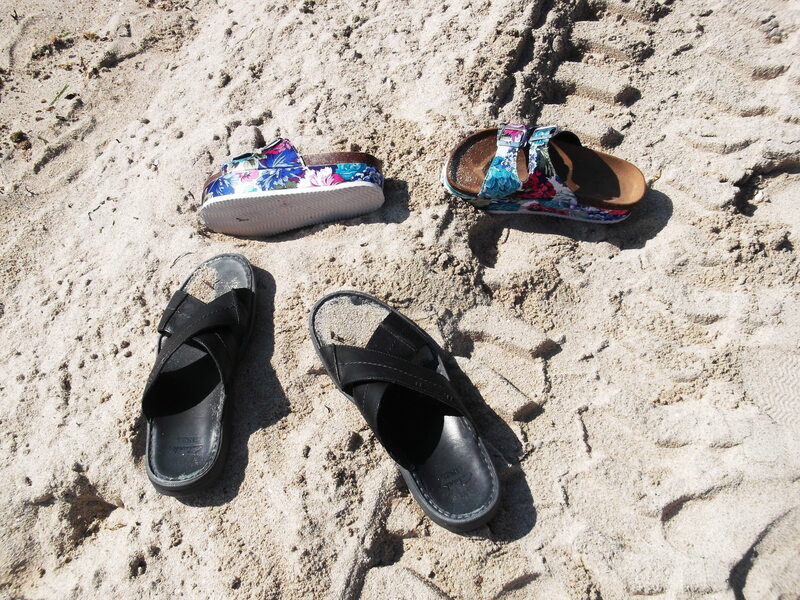 I just love the colours and take it instead of a towel for sitting on the beach. I’m always interested to see what other people buy on holiday. I for one, can’t go home without some little treasure as a reminder. This is what I bought on my Mallorca trip. It all starts in the airport. Did you know that Manchester Airport now has a Jo Malone counter? Fatal for me. Can’t walk past it! I treated myself to some Red Roses cologne and soap and had a great chat with the very knowledgeable assistant about aromatherapy. Really wanted to buy a travel candle but surprisingly they don’t stock them at the airport. Hmm – jewellery. I have loads of junk jewellery but can’t seem to resist another piece. 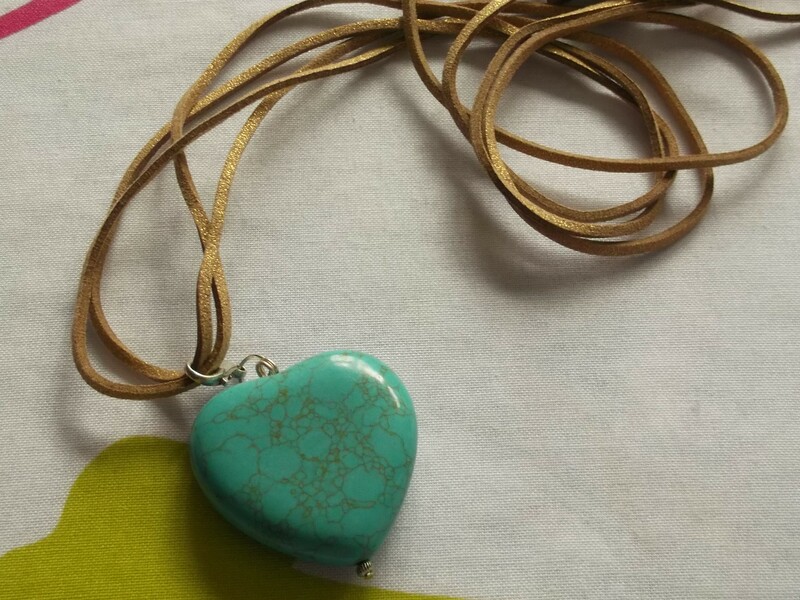 Turquoise is my stone of choice when in ‘boho’ mode, so this 4 euro necklace from a boutique in Alcudia Old Town fitted the bill. 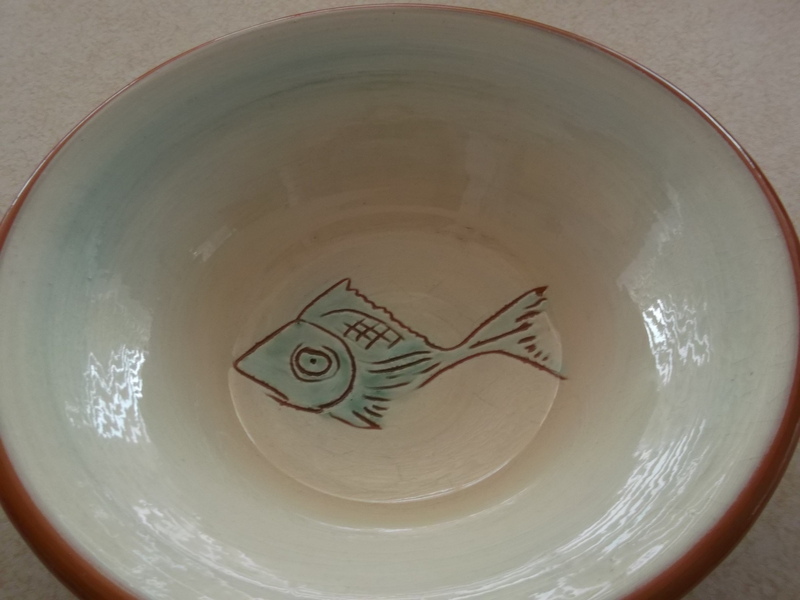 My next purchase was this fishy ceramic bowl – hand painted by the lady I bought it from who was selling them on the roadside near Valldemossa. I have a bit of an eclectic mix of vintage and newer Mediterranean pottery in my kitchen so this will fit in nicely. 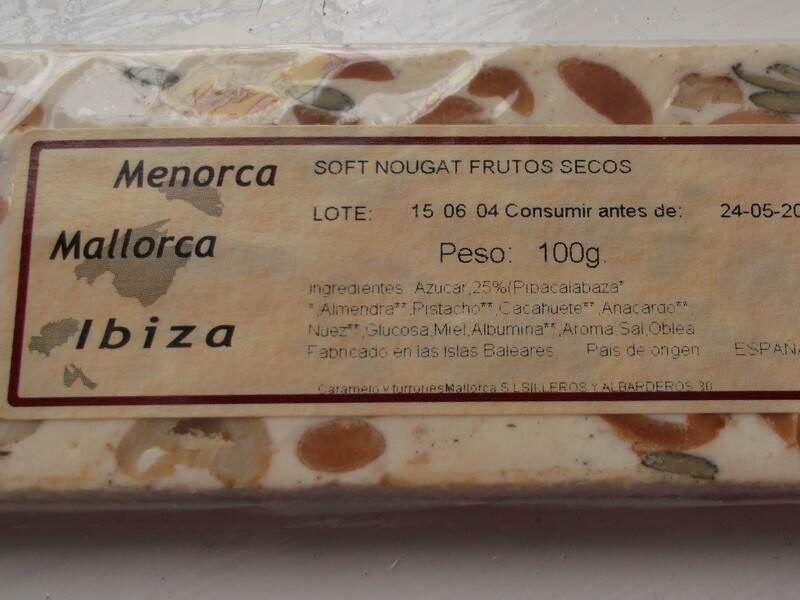 Finally, local nougat. When in Rome and all that…..
I’d love to see your holiday purchases! 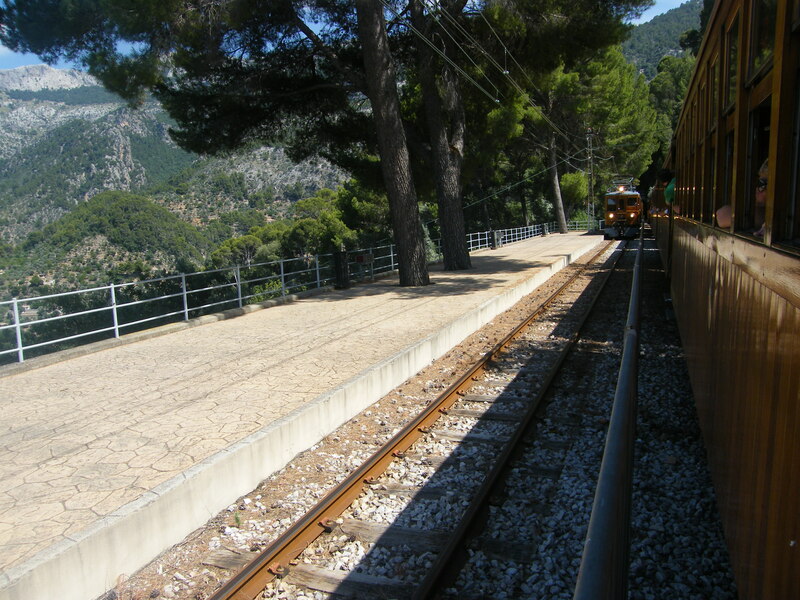 Twenty five years have gone by since we last followed the orange blossom trail from Valldemossa through to Palma via Deia, Puerto de Soller and Soller, traversing the UNESCO protected Sierra de Tramuntana by bus, tram and train. 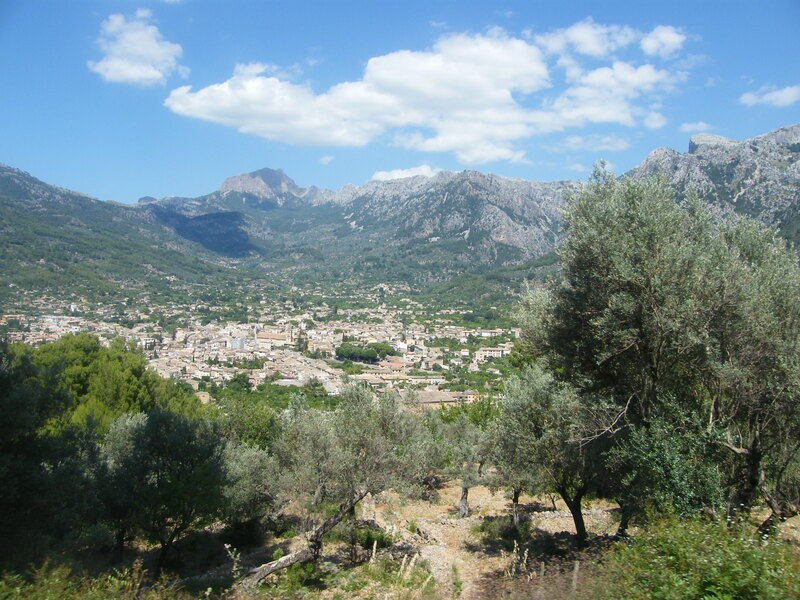 Such a lot has changed, especially since Soller is no longer isolated, now that a tunnel replaces the windy mountain roads that were the main way in or out. 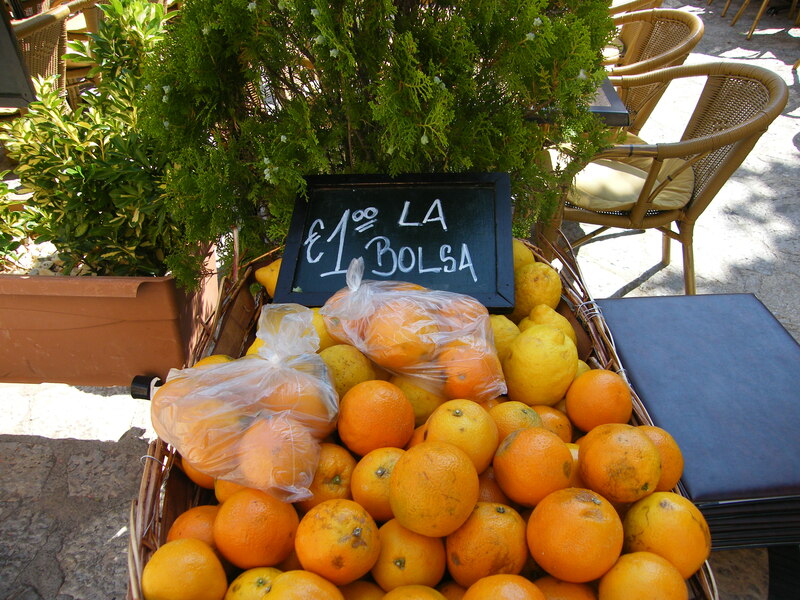 The biggest change is the sheer number of tourists in Valldesmosa and Soller. When we last visited they were quiet towns where you could wander the streets and pick up an ensaimada to eat in a shady square. Not so now, you can hardly move for chi chi boutiques and open air cafes spilling out onto the street. The hotel we stayed at in 1988 – the Esplendido in Puerto de Soller – has been upgraded to a very chic hotel well out of our price range! 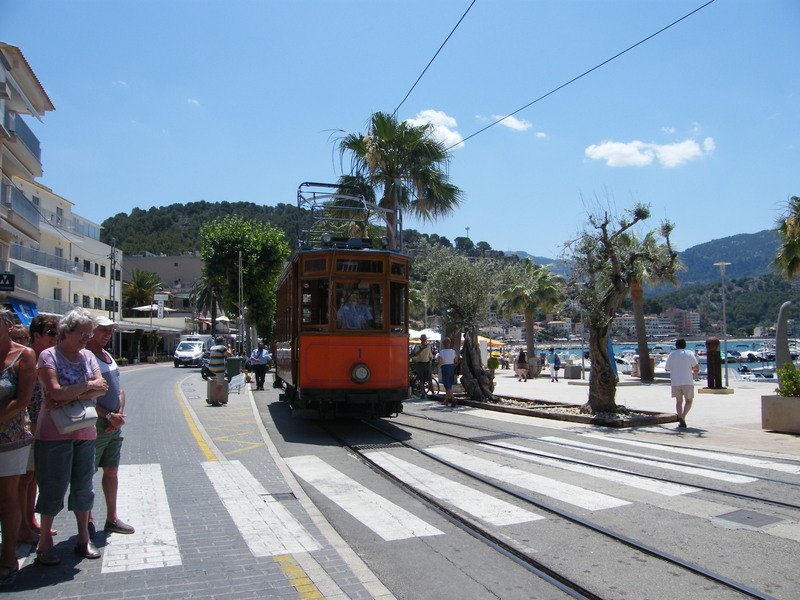 Some things are the same though – the old San Francisco tram ride through the orange and lemon groves from the port to the town of Soller is as pleasingly simple as ever. It runs right through people’s back gardens and what you might call allotments if they were in the UK. 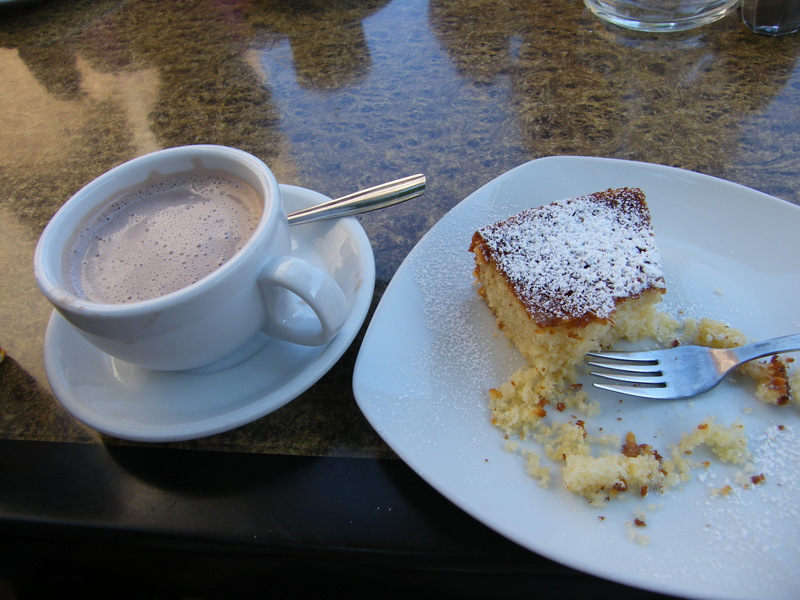 The orange juice is as fresh and tasty as before, as is the almond cake. 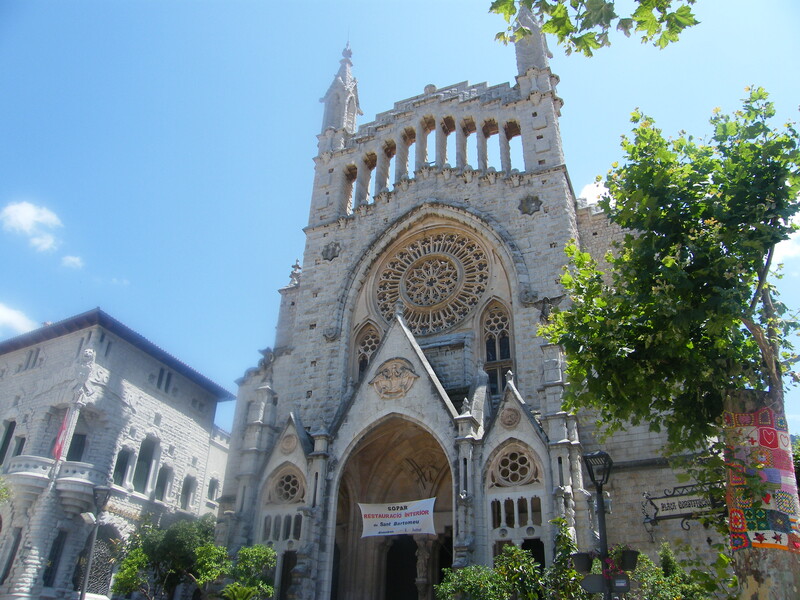 The railway journey into Palma, travelling on a train dating from 1919, is a quirky trip through olive groves, mountain tunnels and the odd little town. The view down into Soller was breathtaking. Not sure I’d make this trip again in the summer months, but out of season, I’d love to! 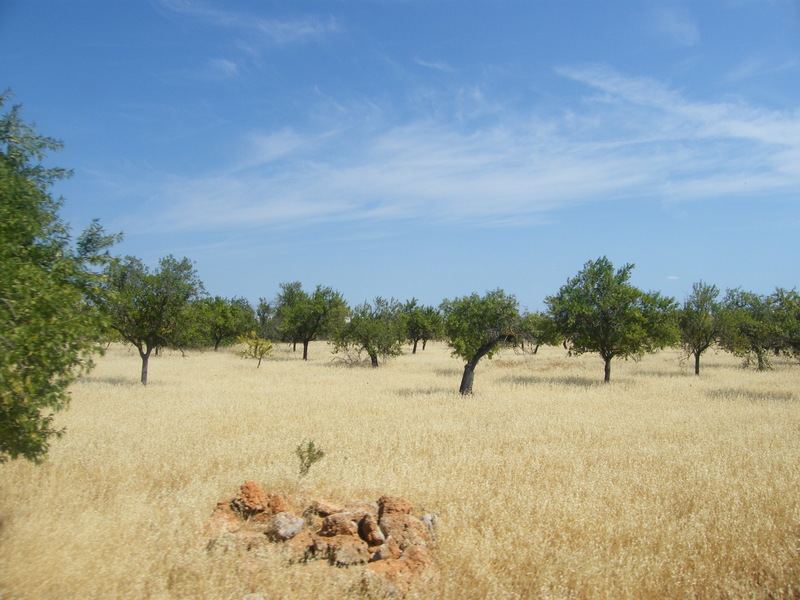 Once a year, I indulge my love of boho fashion with two weeks in beautiful Mallorca. It’s time to kick off the shoes, read a few books and wear stuff that doesn’t see the light of day in the UK. 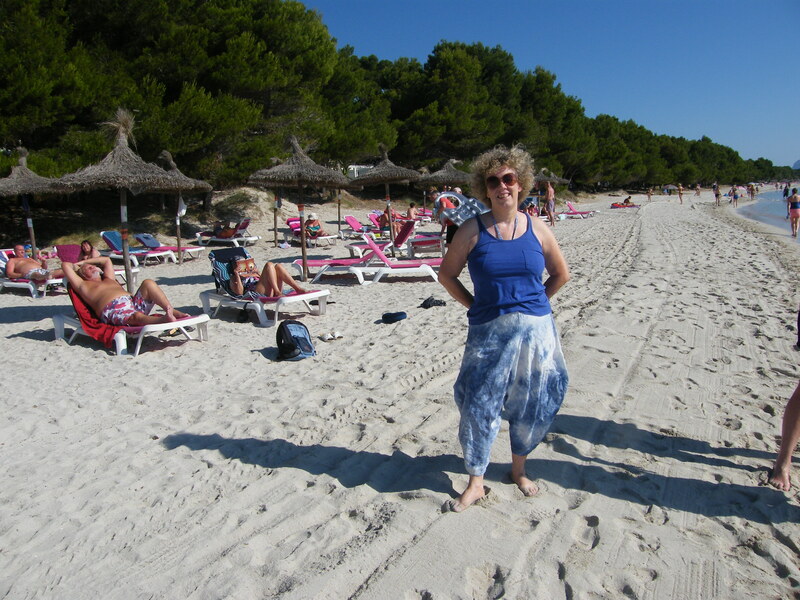 I just love these harem pants which I bought in Lanzarote and they are so comfy and cool for the beach. I’m a cover up girl – all factor 50 and fake tan, so you won’t catch me in any bikini shots any time soon! 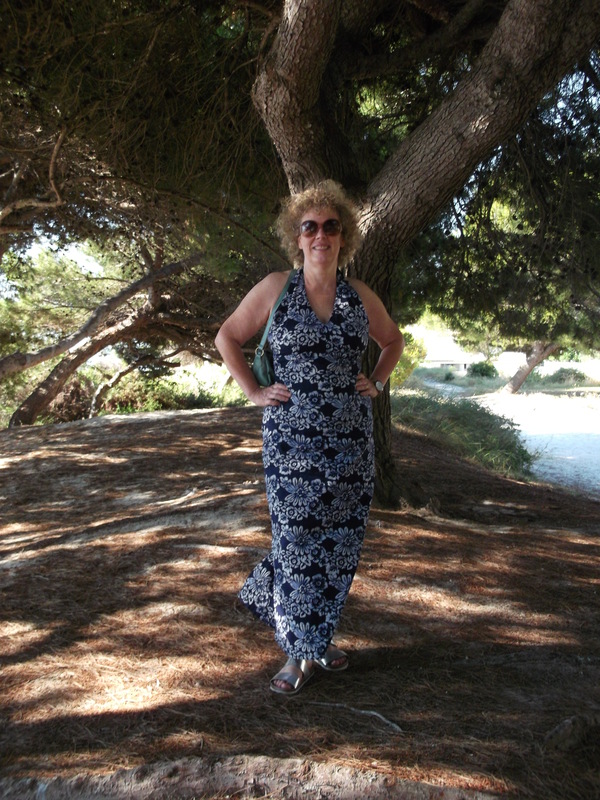 I have a few favourites from East, including this navy batik sundress which is great over your cossie. I also love this silk skirt, also from East, which is years old (and don’t tell anyone, has a tear in it) but I can’t bear to part with it. This year, we travelled with friends, so I’ll be sharing some of my friend Linda’s fashion style on the blog soon!